In the past year we’ve seen a big increase in session beers. We’ve seen session pale ales, IPAs, sours and more, but have you ever seen a session barleywine? At first thought, it’s a bit of a contradiction in style. 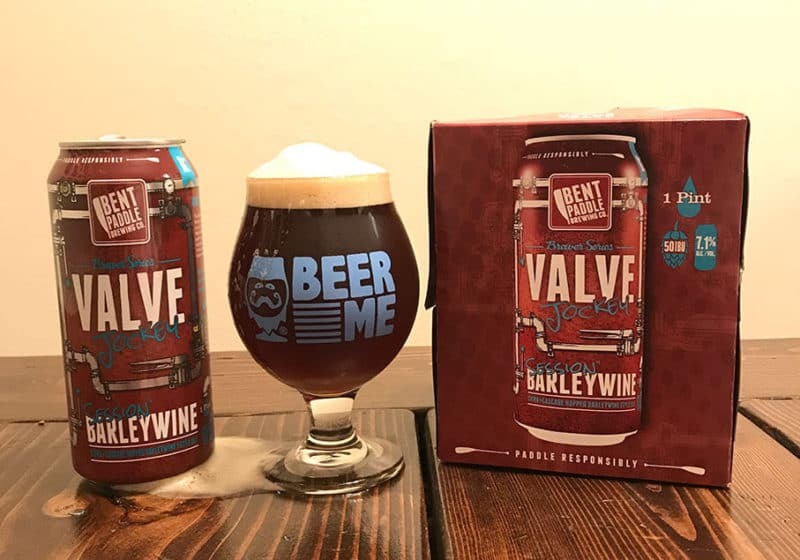 But Bent Paddle Brewing has made it happen with their latest Valve Jockey Brewer’s Series “Session” Barleywine. Here’s what it’s like. The Bent Paddle Brewing Valve Jockey Brewer’s Series was created as an opportunity for each brewer to make their own, unique brew. The third release in the series is the new “Session” Barleywine. We’ve seen session beers in all styles, so why not a barleywine? They imperialized everything (imperial helles anyone? ), so why can’t we go the other direction too? 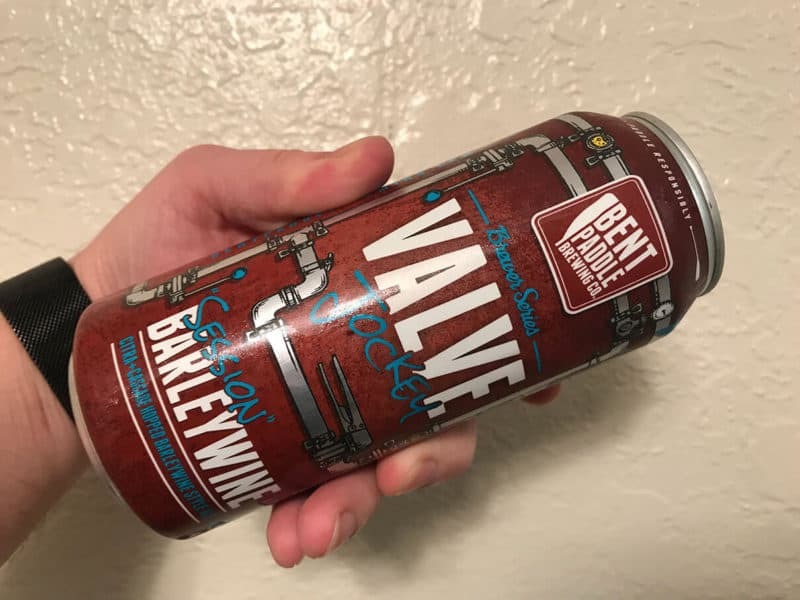 The Valve Jockey Brewer’s Series “Session” Barleywine looks much like your typical barleywine. Deep brown in color with a head of off-white foam atop. The aroma has notes familiar to a normal barleywine, with plenty of roasty English malt and a fruity hop hit. It’s lacking the alcohol nose we typically expect to find in a barleywine, but other than that, everything you’d normally find is present. As the beer warms, it gets more fruitiness in the nose, as you’d expect from its big brother beverage too. Taking a taste is where we first notice a departure from the norm. It has that barleywine flavor… but lighter. Plenty of malty goodness and a light dry sweetness but without the big malt bill bowling you over. Citrus hops come through from the Citra and Cascade, balancing things nicely. No alcohol heat you’d expect in a bigger brew here. Just barleywine in an easier drinking format. This is a really cool take on a style we’ve all enjoyed. Present it in a new easier drinking format and suddenly 16oz cans don’t seem too large. At 7.1% ABV, it might not be something you’re going to session all night, but it’s certainly better than doing with bottles of bourbon barrel barleywine. The Bent Paddle Valve Jockey Brewer’s Series is an awesome opportunity for their brewers to explore new styles and they certainly have here. “Session” Barleywine brings the things we expect from a barleywine, in a much more approachable package. Look for Bent Paddle Valve Jockey Brewer’s Series “Session” Barleywine in 4-packs of 16oz cans in stores right now!